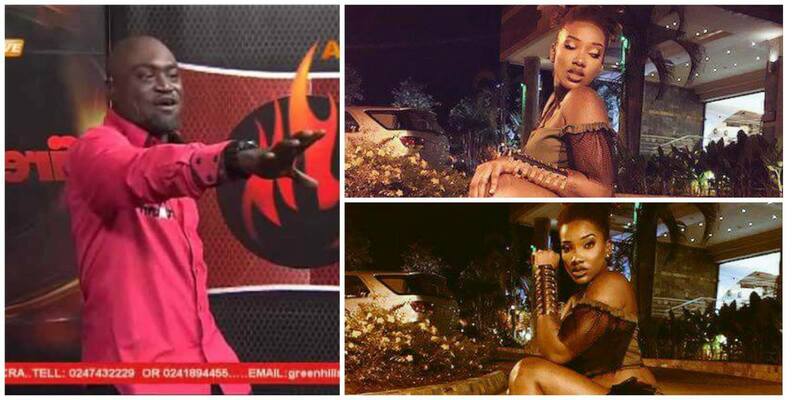 Dancehall sensation, Ebony has thrown a challenge to Adom TV/Asempa FM’s Countryman Songo to meet her in Kumasi this Friday to prove his intentions to “fire” her. “Tell him to meet me at the Mamba Bash this Friday at the Baba Yara Stadium if he really means what he said,” the ‘Sponor’ hit maker told Myjoyonline.com. Countryman Songo, born Patrick Osei Agyemang, host of ‘Fire for Fire’ afternoon sports show on Adom TV and Asempa FM, openly declared his intentions to 'fire' Ebony who is billed to perform at ‘Mamba Bash’ scheduled this Friday at the Baba Yara Stadium. Countryman Songo in a promo video said one of his motivations for the programme is to meet Priscilla Opoku-Kwarteng known in entertainment circles as Ebony Reigns, to “fire” her. “In fact, I’m ready to sponsor him so let him come,” she remarked. Ebony also promised her fans an unforgettable night filled with “fire, fire and fire”. The Mamba Bash is powered by Prazzy Entertainment and sponsored by Mamba Energy drink and partnered with a host of media organisations in the Ashanti Region. The event which is aimed at celebrating Ghanaian music will have top artistes mount the stage to entertain their patrons. Artistes billed to perform on the night include Stonebwoy, Ebony Reigns, Flowking Stone, Yaa Pono, as well as the ‘One Corner’ hit singer, Patapaa.